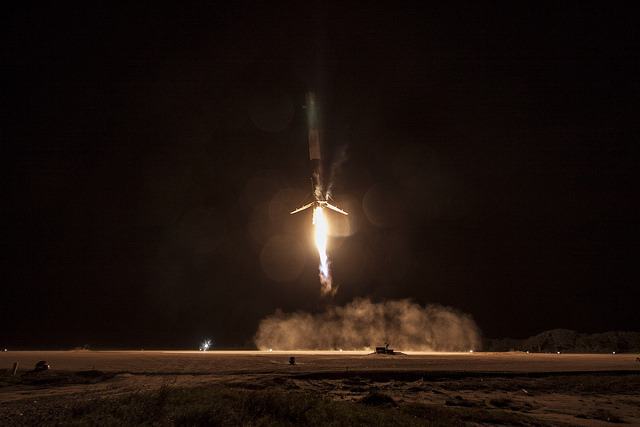 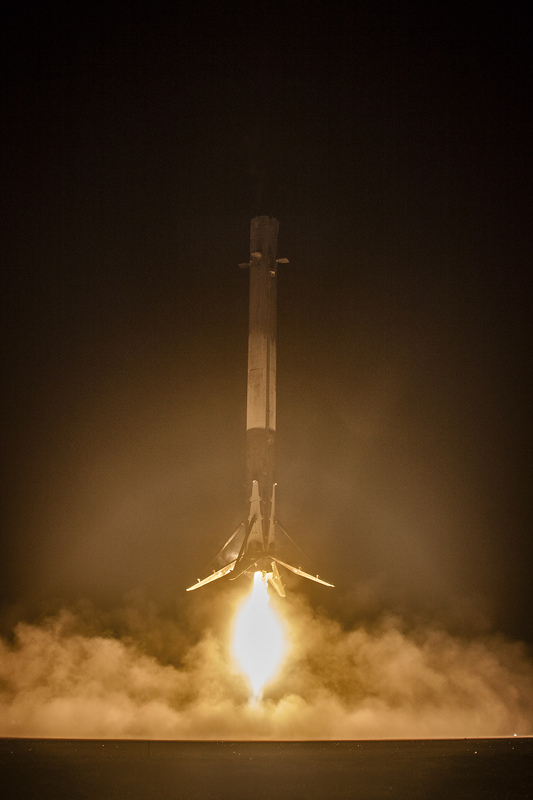 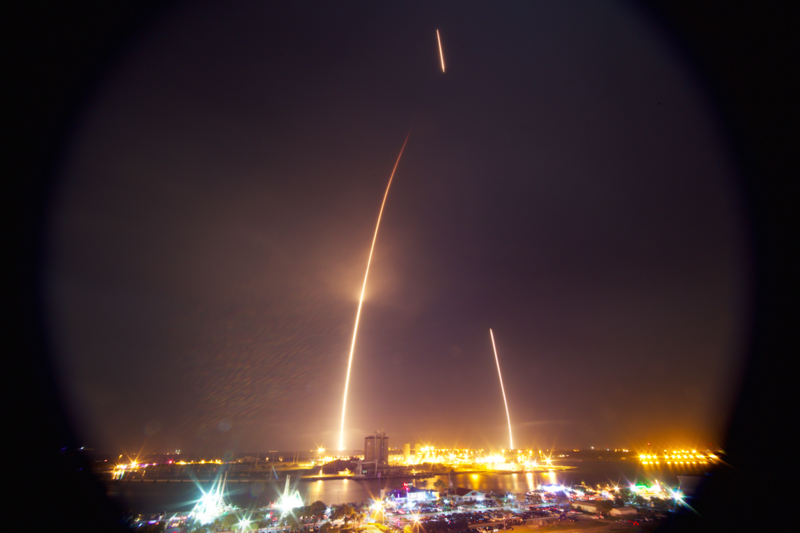 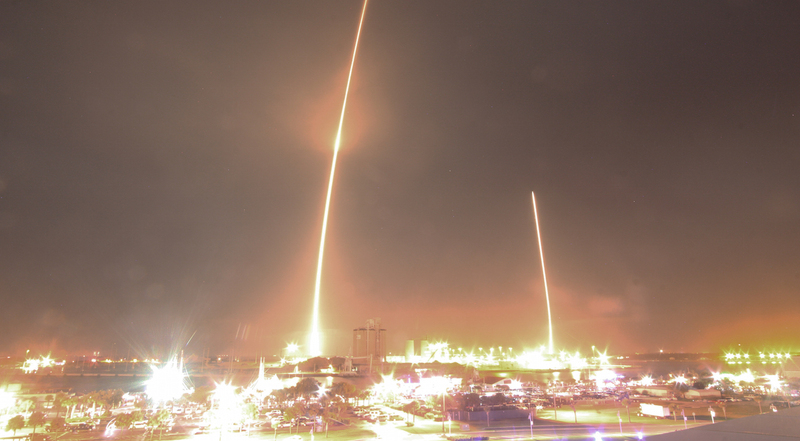 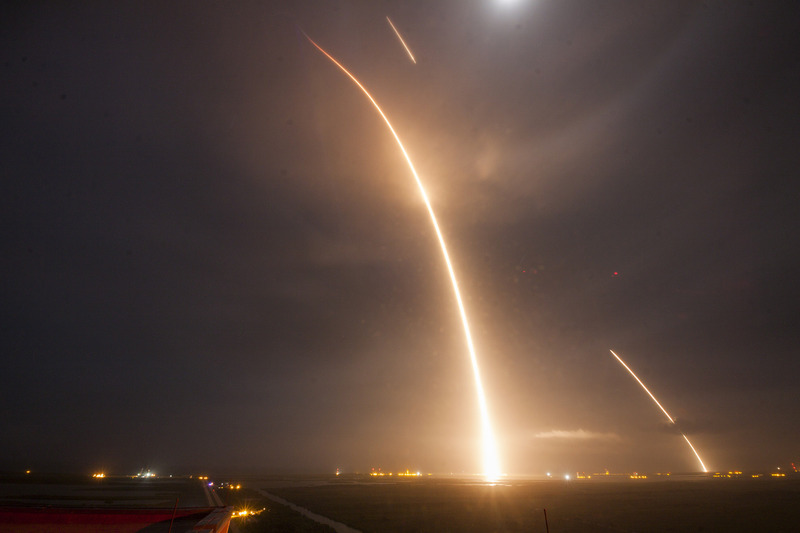 Relive the experience with imagery from Monday night’s blazing blastoff of a Falcon 9 rocket and its historic, dramatic landing at Cape Canaveral. 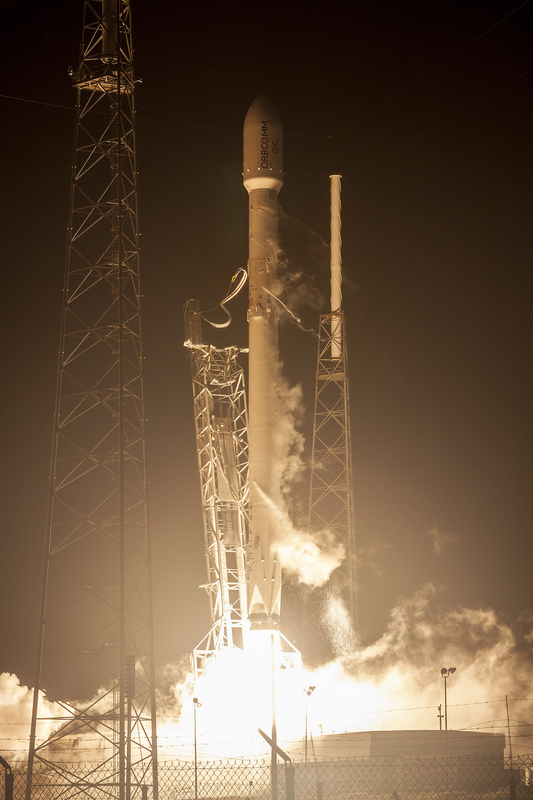 Carrying 11 Orbcomm communications satellites, the Falcon 9 rocket lifted off from Cape Canaveral’s Complex 40 launch pad at 8:29 p.m. EST Monday (0129 GMT Tuesday). 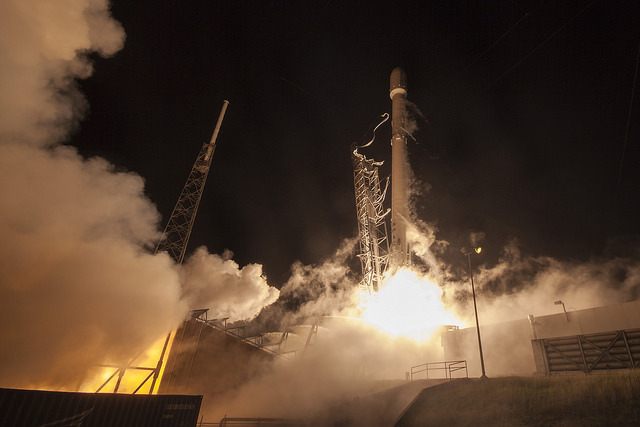 The second stage of the rocket broke away less than three minutes later, continuing on to drive the refrigerator-sized satellites into orbit. 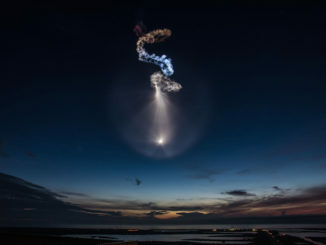 Simultaneously, the 156-foot-tall first stage booster flipped around and fire its engines for three maneuvers to slow down and make a supersonic dive toward a touchdown target a few miles from the Falcon 9’s launch pad. 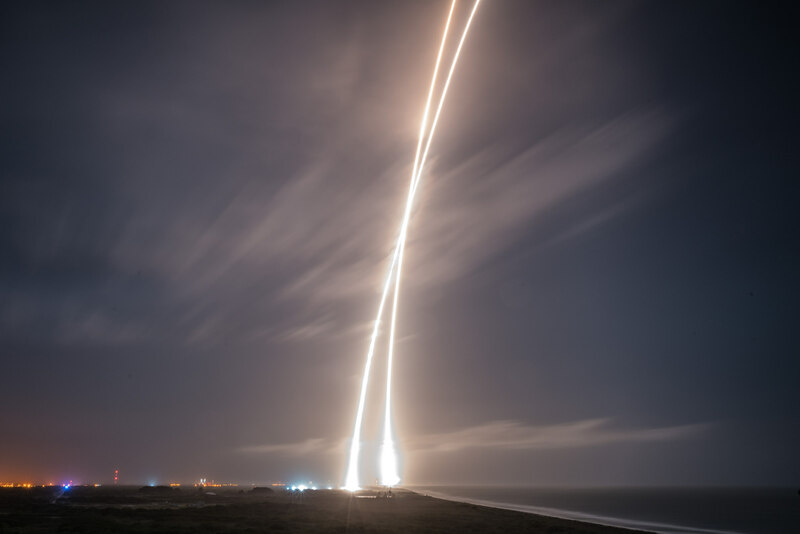 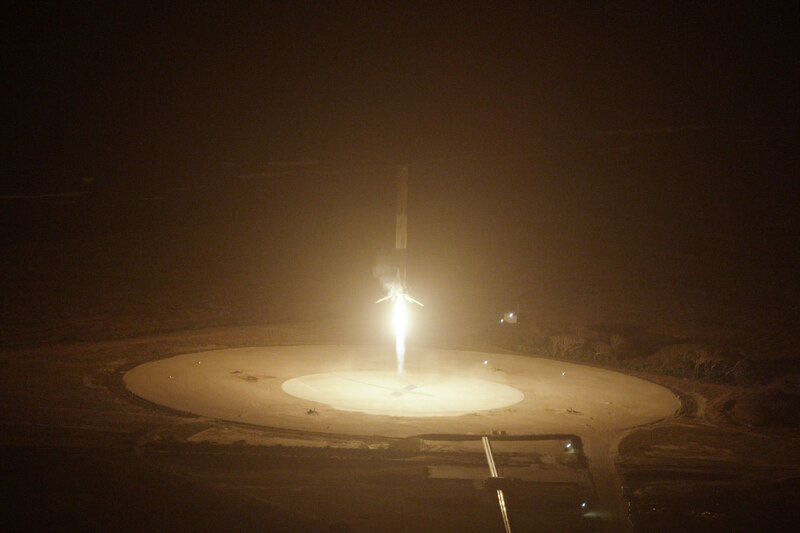 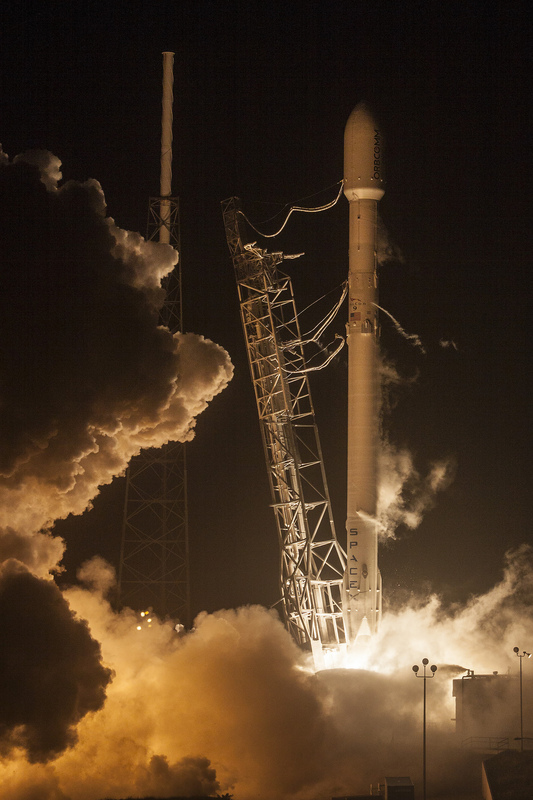 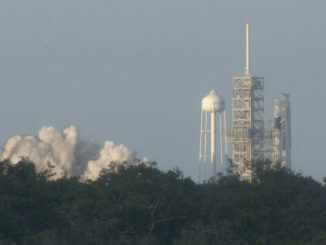 The daring maneuver worked, with the Falcon 9’s center engine braking the rocket for a smooth touchdown at Landing Zone 1, a converted Cold War-era Atlas launch pad near the eastern tip of Cape Canaveral. 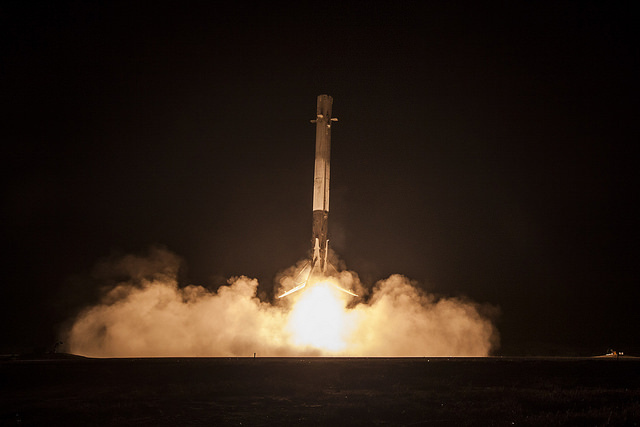 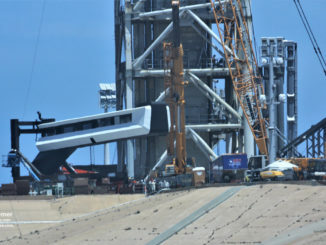 SpaceX says the achievement — unprecedented in scale and method — helps the company clear a critical hurdle in its initiative to develop a reusable rocket.